compensation: Earn up to $15+/hr. 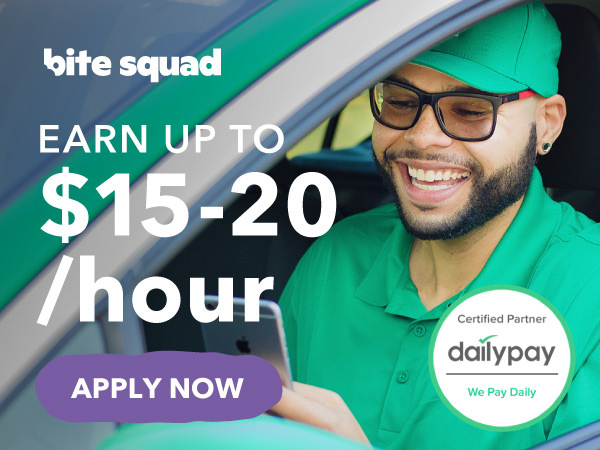 Bite Squad is a restaurant delivery service committed to finding qualified drivers in the area to deliver amazing service to our customers. Set your own schedule and start delivering today!